The thalamic reticular nucleus (TRN) modulates activity in the thalamus and controls excitatory input from corticothalamic and thalamocortical glutamatergic projections. It is made up of GABAergic neurons which project topographically to the thalamus. The TRN also receives inhibitory projections from the globus pallidus and the substantia nigra pars reticulata. Photostimulation of the TRN results in local inhibition in rat slice preparations but the effects of local stimulation in vivo are not known. This study aimed to characterize stimulation-evoked responses in the TRN of non-human primates (NHPs). Microelectrodes were inserted into the TRN and neurons were stimulated at 5, 10, 15, and 20 µA using 0.5 s trains at 100 Hz and the subsequent response was recorded from the same electrode. Stimulation in surrounding nuclei and the internal capsule was used for mapping the anatomical borders of the TRN. Stimulation as low as 10 µA resulted in predominantly inhibition, recorded in both single units and background unit activity (BUA). The duration of inhibition (~ 1–3 s) increased with increasing stimulation amplitude and was significantly increased in BUA when single units were present. At 20 µA of current, 93% of the single units (41/44) and 92% of BUA sites (67/73) were inhibited. Therefore, microstimulation of the NHP TRN with low currents results in current-dependent inhibition of single units and BUA. 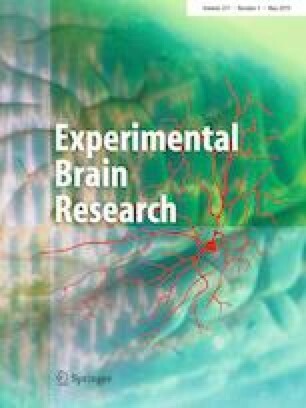 This finding may be useful to further aid in localization of deep thalamic and subthalamic nuclei during brain surgery. Thank you to Dr. Rob Marino and Kathryn McIntosh for comments, Sean Hickman and Jennifer Green for technical support. The presented research was funded by a Canada Foundation for Innovation Grant (#31804).